Let's compare the results announced by MADRIGAL for their MGL-3196 this morning with those of the Elafibranor in Golden because they are the only ones to have given results with the new definition of the NASH resolution ! We will compare the results of GOLDEN on the configuration retained in Phase 3 by Genfit, ie NAS> = 4 and balanced centers. However, we will also recall Golden's results for NAS> 4 patients on all centers. This improvement is not significant because of the short duration of the trial, to my opinion. The improvement on the subgroup of patients with a NASH resolution is good but the same was noted with elafibranor . In AASLD november 2018, Madrigal presented a slide based on a new technique (SHG second harmonic generation microscopy). 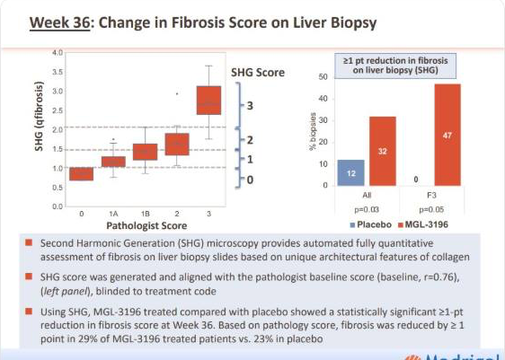 This is interesting but questionable because the technique magically reduce the score of placebo in fibrosis grade reduction by 50% and increase MGL 3196’s one by 10% compared to the score fixed by the hepatologis who initially classically examined the biopsy. As the other competitors did not used this magical technique it is difficult to compare ! We can see that the results of Madrigal MGL 3196 are between the results of the GOLDEN trial with balanced centers and that including all the centers. 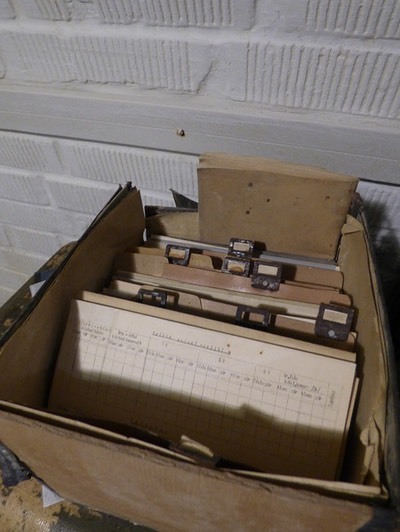 Those results seems excellents. Nevertheless the high level of spontaneous NAS score and fibrosis improvement in the placebo arm is very surprizing and not coherent whith the placebo NASH resolution score( in line with similar trials). Patients baselines should be analyzed deeply to understand why, we will wait for all the parameters of the trial in an upcoming publication.